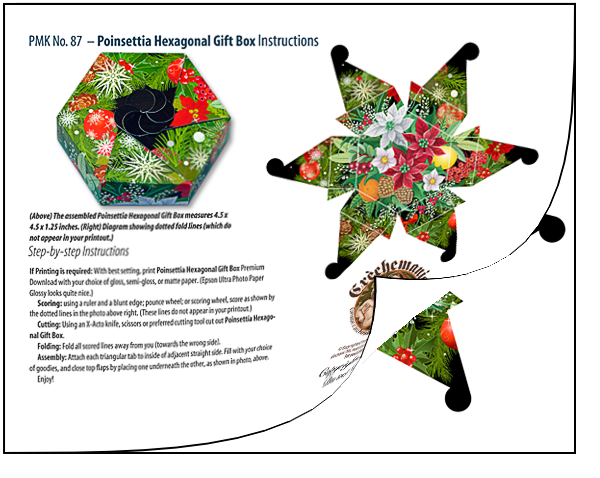 A Printed Sheet of a six-sided gift box brimming with poinsettias to assemble. A 19 x 13 glossy quality sheet on professional media paper: the Poinsettia Hexagonal Gift Box Sheet. A step-by-step instruction PDF is also included. A 19 x 13 printed sheet of the Poinsettia Hexagonal Gift Box to assemble, and stuff with favorites things. Instructions are included, but you won't need it to interlock the top flaps and close the box. Size: 4.5 x 4.5 x 1.25 inches. 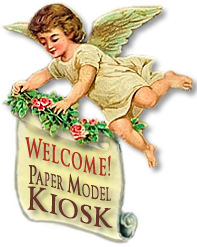 Buy Poinsettia Hexagonal Gift Box Sheet as part of a collection, and save!